2019 SEASON BEGINS MAY 1, 2019! The turtle watch program is staffed by volunteers that walk the beach every morning, sit at nests when the hatchlings are ready to emerge, and conduct informational and educational programs. 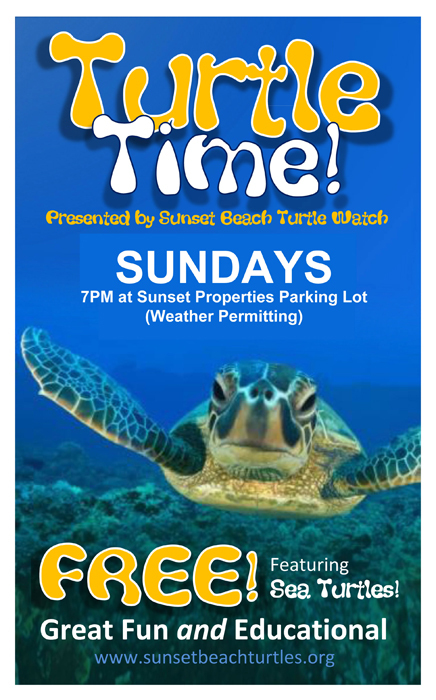 The informational programs - named "Turtle Time" - are free at 7 pm on Sunday evenings beginning in June and running during the nesting months at the Sunset Properties Parking lot - weather permitting. 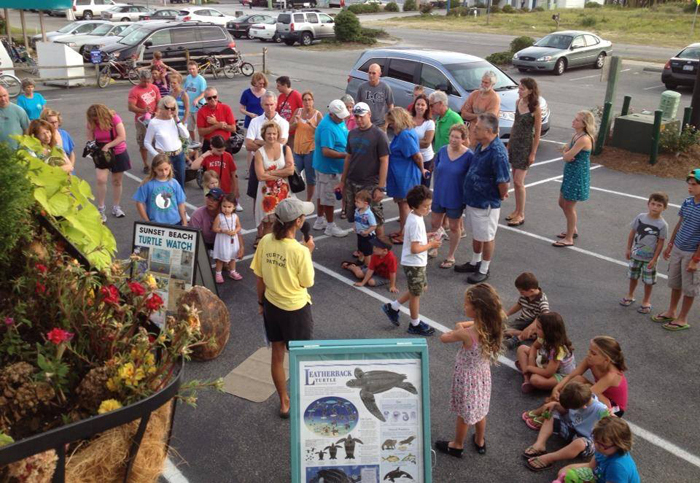 Educational programs are available on request.